TDK LTO Ultrium 2 data cartridges are a cost effective, high volume professional data storage solution. 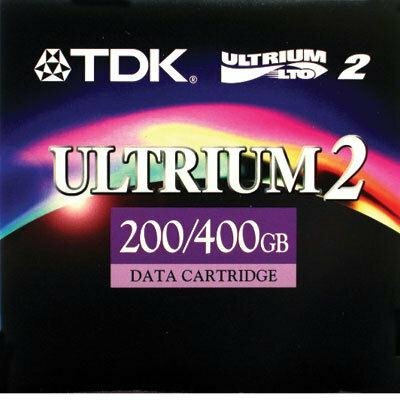 With 200 GB native (400GB compressed) storage capacity and a 20 MB per second native (40MB/s compressed) transfer rate, TDK LTO Ultrium 2 cartridges are the ideal media solution for your Ultrium 2 drive. They're also compatible with Ultrium 3 drives.